The mod allows you to track entity movement (excluding players). 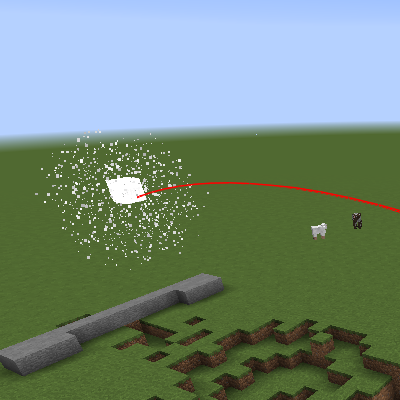 Can be used to debug various contraptions (TNT cannons, falling sand entities, etc). Trace color, thickness and delay can all be customized via the standard GUI config. All command have autocomplete (press tab).